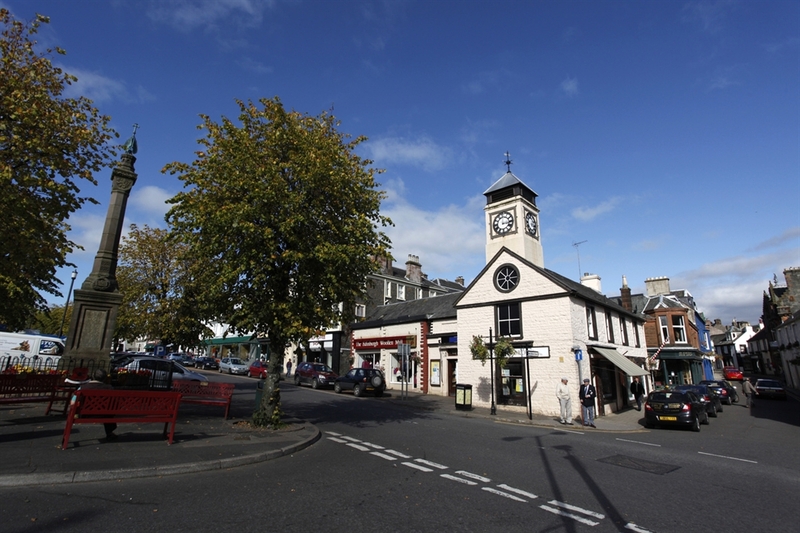 Moffat’s wide, tree-lined high street retains many of its original characteristics and the town has strong connections with both the Moffat and Johnstone clans. A sheep farming town in years gone by, this history is depicted by the Ram Statue on the high street. The Devil’s Beef Tub, a large depression in ground north of the town, aided the sheep and cattle rustlers who operated in the area, allowing them a place to hide the animals before moving them on. Moffat was a spa town until 1921 when the Hydropathic Hotel burnt to the ground. The surrounding hills and the local section of the Southern Upland Way provide excellent walking opportunities, while the River Annan is good for fishing. 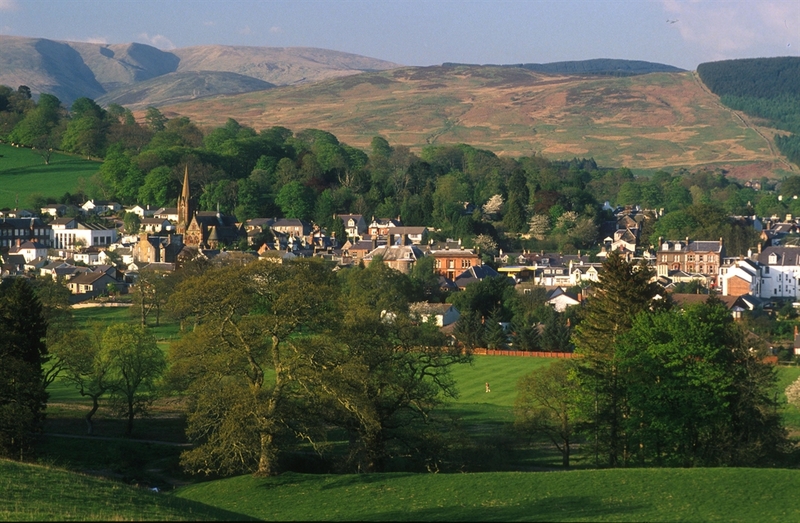 In recognition of the great walking, the town was the first in Scotland to be awarded 'Walkers are Welcome' status. 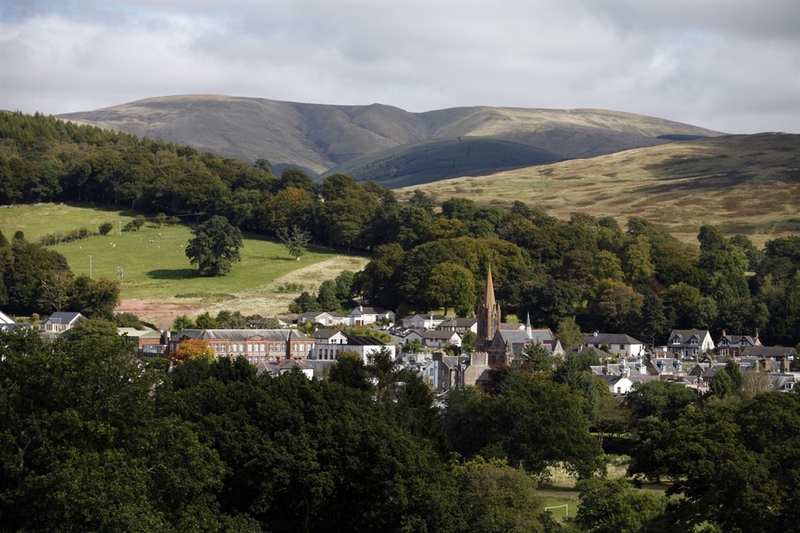 Moffat also takes the title of Europe’s first Dark Sky Town, having adopted special street lighting to keep light pollution to a minimum in order to preserve the wonders of the night sky. There are great places to eat and many independent shops. Try some famous Moffat Toffee when you are here.